This Black Friday Shawn Simms was first in line at Best Buy in Nashville, TN to bag a Thanksgiving bargain – a Toshiba HDTV for $149.99. COP21, the Paris Climate change conference taking place this week got us thinking what the carbon cost was for shipping the TV. A quick check showed that shipping the TV from Taiwan to Nashville (ocean & trucking) led to about 6.7 kg of carbon emissions. Every year 33 billion tons of CO2 are emitted (a giant “CO2 cube” of that would measure 28 km per side). This is a big deal. For example, only 1% of China’s 560 million city residents breathe air that is considered safe by the EU. The emissions from freighting Shawn’s TV is a miniscule percentage of this year’s 33 billion ton cube. But zooming out to freight as a whole, we found that the freight industry’s contribution to total GHG (Green House Gasses) is about 10% for developed countries (and much more for developing countries). Finding freight’s contribution to GHG took a lot of digging. Curious how we found it? Click the button on the right to see our sources. Pundits are projecting that this climate change summit may succeed where its predecessors failed. The regulatory approach taken by Kyoto and Doha, with binding mandatory reduction targets, has been replaced by countries making voluntary reduction commitments (INDC). Freight was on the agenda, as part of the 15 transport initiatives up for discussion. The Global Green Freight Action Plan, the most directly related initiative, includes dozens of programs, active or under development. Of the 14 other initiatives, some are also related to freight industry, including the UIC‘s Low Carbon Sustainable Rail Transport Challenge, and the ICAO‘s Aviation’s Climate Action Takes Off initiatives. The COP21 Transport Press Release announced that 13 new countries have committed to establish a green freight program or initiative, doubling the response since the New York Climate Summit in 2014, and also announced strong progress in support of the other two aforementioned rail and air initiatives. Beyond national and NGO efforts, many forwarders are voluntarily looking to reduce emissions instead of waiting for mandated regulations. Some carbon reporting regulations are already out there, e.g. for ships going to and from EU ports, and for LSE listed companies, and there is a growing list of upcoming carbon reduction legislation. Forward-thinking forwarders are preparing early for their introduction, to avoid a hard landing the day they kick in. But it’s not only due to regulations. Many forwarders are now interested in both emissions reporting and emissions reduction. For instance over 70 percent of the 500 largest US-traded companies have issued Corporate Sustainability Reports, particularly related to carbon emissions. And if shippers want that data, forwarders will be providing it. Also many forwarders are demonstrating that they are good corporate citizens through programs like SmartWay (U.S.) and Green Freight Europe. And in many instances, it’s just plain good financial sense – reducing emissions can also reduce costs. Penske makes a good case study. Since joining the EPA SmartWay program in 2008, Penske Logistics has improved fuel economy by 5 percent, reduced idle time by 16 percent and lowered CO2 emissions on a gram/ton-mile basis by 24 percent. Penske achieved $850,000 in annual savingsafter successful implementation of a route tracker program. The following are just a few examples. To reduce emissions, forwarders are measuring, benchmarking and streamlining freight supply chain operations. One great example is the work done by the EPA’s (US) Smartway program. Unlocking fuel savings technologies in trucking fleets at an annual savings of $26,00 per truck, and short 18 month pay-back time. Greenroad, for instance, offers a variety of solutions to reduce mileage (fleet tracking and performance) and reduce fuel consumption for actual mileage (driver behavior and fleet safety, cost reduction and fuel economy, sustainability). It’s not just trucks. Selecting sea-leg options that use the new more energy efficient, lower emitting super-ships with high levels of recyclability and reuse, like the Maersk Triple-E.
Providing shippers with freight carbon emissions reporting, and the option to select greener routes, rather than merely the quickest or cheapest, route option. We’re proud to be a part of this. Freightos’ rate management and online quoting system offers both emissions reporting and sorting by greenest. 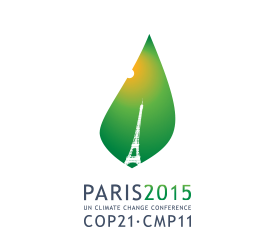 COP21 is characterized by voluntary contributions from countries to reduce emissions. This is the same way that forwarders are adapting too. Whether it is to do good business with their customers, gain real cost-savings, or simply as good corporate citizens, forwarders are already looking at how they can reduce carbon emissions.